The U.S.-led efforts to broker peace get top billing, but Uzbek efforts are worth watching closely. Uzbekistan continues to quietly position itself as a partner in the peace process between the Afghan government and the Taliban. While the movements of Zalmay Khalilzad, the U.S. envoy heading negotiations with the Taliban for the Americans, are closely tracked by international media, the parallel movements of Uzbek diplomats, namely Foreign Minister Abdulaziz Kamilov, are less high profile, but nevertheless may prove just as important. 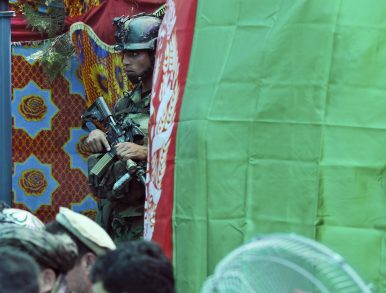 Last month, Umida Hashimova wrote for The Diplomat that “Tashkent has willingly assumed an intermediary role” between Kabul and the Taliban. Kamilov met in early March with the Taliban leadership in Doha, Qatar and on March 6, almost immediately upon returning to Tashkent, met with an Afghan delegation led by Hamdullah Mohib, Afghan President Ashraf Ghani’s national security adviser. The Uzbek side, the statement continued, offered to host direct talks between the Afghan government and the Taliban in Samarkand. In light of Kamilov’s March travels, the concurrent kerfuffle between Washington and Kabul on the topic of peace negotiations stands in sharp contrast. A few days later, Reuters reported that a senior U.S. diplomat told Ghani that U.S. officials will no longer deal with Mohib. Diplomats in Kabul confirmed to the New York Times later in March that U.S. officials refused meetings or walked out of meetings with Mohib. While the United States and the Taliban dance around a possible deal, the Afghan government has yet to be included. The U.S. and Taliban sides “agreed to agreements in principle” after negotiations in January and in February talks circled around a two-point agenda featuring a U.S. withdrawal and a Taliban pledge to not allow Afghan soil be used to stage attacks. In March, Taliban attacks continued at a steady clip and the rift between the United States and Afghanistan widened. Meanwhile, Uzbek diplomats have quietly been moving between Kabul and the Taliban, setting Tashkent up as an alternative moderator. On Sunday evening, Khalilzad returned to Kabul for talks with the Afghan government. He tweeted about meetings with Chief Executive Officer Abdullah Abdullah and Foreign Minister Salah Rabbani as well as Ghani’s Chief of Staff Abdul Salam Rahimi and Special Envoy Umer Daudzai. The recent New York Times article mentioned above suggested that Mohib could be sidelined, even though it’s assumed his harsh comments echo Ghani’s sentiments. Mohib meeting with the Uzbek delegation on Sunday suggests that he has not been excluded from the overall process just yet, but it’s unclear (and I’d wager unlikely) that he’ll meet with Khalilzad. This further furcates the already complex process of negotiating a peaceful future for Afghanistan.